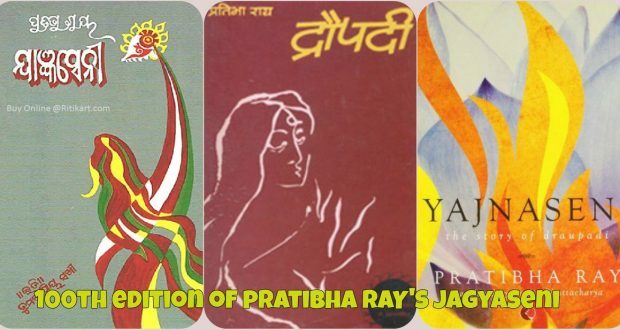 Bhubaneswar:27/10/18he 100th EDITION OF Pratibha Ray’S JAGYASENI (ODIA) goes to press:A milestone moment for Adya Prakashanee . The book has been translated into various languages, including English, Hindi, Malayalam, Marathi, Assamese,Gujarati,Sanskrit, Bengali, Nepali and Hungarian. and even the dice game. She is magnanimous and self-eschewing almost transcending the milieu which she inherits.